If Eiliya Maida thought he hated spiders before, imagine how he must feel now. 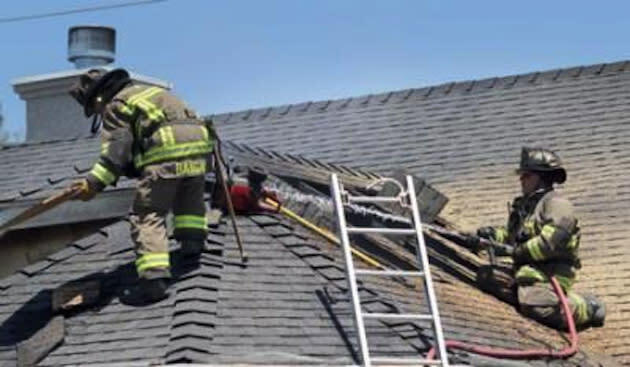 The California man accidentally set his house on fire while using a blowtorch to clear spider webs out of his backyard. The Chico Enterprise Record reports that dry plants in Maida's backyard ignited as he was attempting to burn the webs. The plant fire then spread to the house, starting an attic fire. Maida was apparently unaware of starting the house fire until his brother-in-law George Basbous noticed the blaze. "And that's when I went crazy," Basbous said. Maida's wife and two children safely exited the house, and no one was injured in the fire. Still, firefighters were forced to cut a hole in the house's roof to put out the flames. Chico Fire Chief Keith Carter said the fire would have mushroomed if they hadn't created the hole. Fire Inspector Marie Fickert told the paper that the family has been displaced as a result of the fire, which did approximately $25,000 in damages. Ironically, this article from Science Blogs states that the best way to reduce the local spider population is to cut down bushes and plants outside the home. In other words, if Maida had focused his efforts on gardening rather than firepower, he might have gotten rid of the spiders without damaging his home. Still, it could have been even worse. Fickert said a recently reopened fire station near the Maida home minimized the damage. "We are so pleased that Chico Fire Station 5 has reopened because that gave us a faster response," she said.